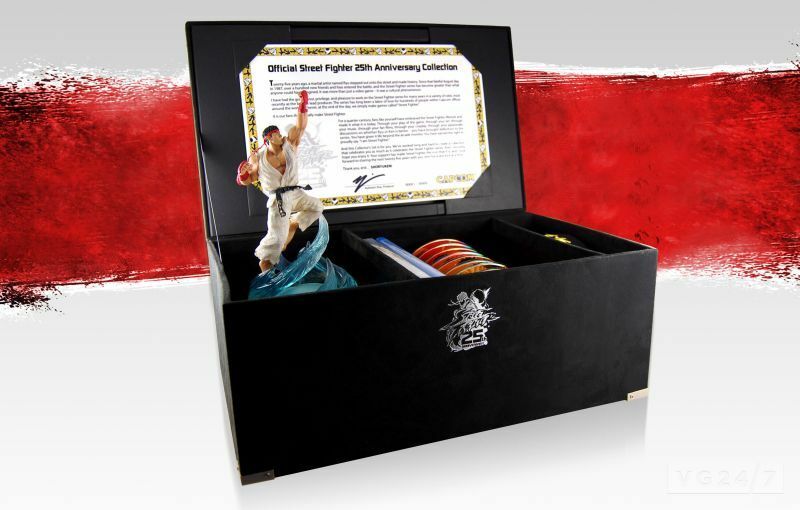 Capcom has announced the limited edition Street Fighter 25th Anniversary Collector’s Set will be available in North America on September 18 for PS3 and Xbox 360. Past and Present Street Fighter Games – Playable on current gen PS3 and Xbox 360 console systems, the four critically-acclaimed titles selected from the star-studded catalog are: Super Street Fighter II Turbo HD Remix, Street Fighter III 3rd Strike Online Edition, Super Street Fighter IV Arcade Edition with all costume DLC, and Street Fighter X Tekken including all character and Swap Costume DLC. Exclusive Video – The two-disc Blu-Ray set includes a documentary that highlights the profound influence the franchise has had on fans – and vice versa – throughout the years. 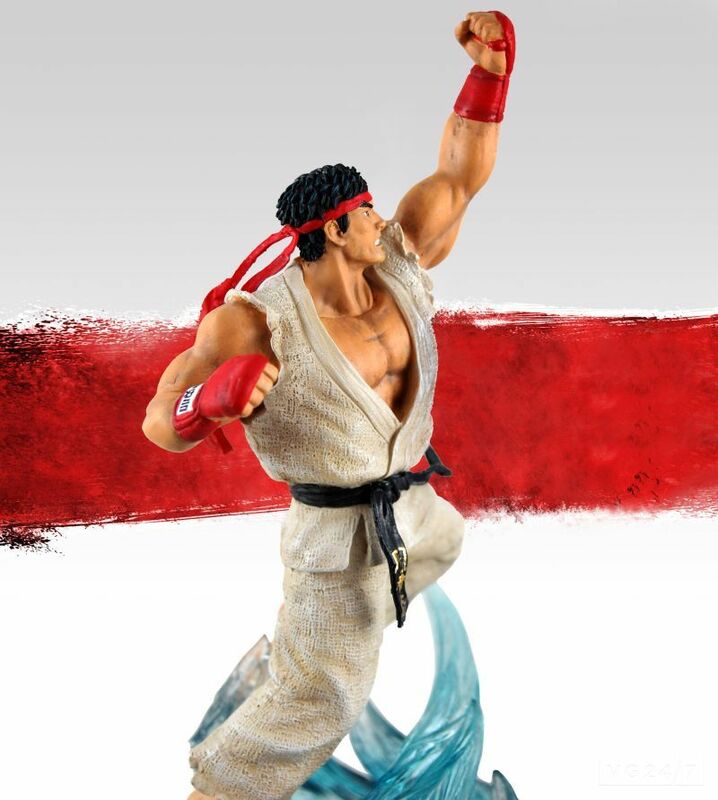 The collection of videos also includes Street Fighter IV and Super Street Fighter IV Anime movies as well as all episodes of the Street Fighter animated series and Street Fighter II: The Animated Movie. 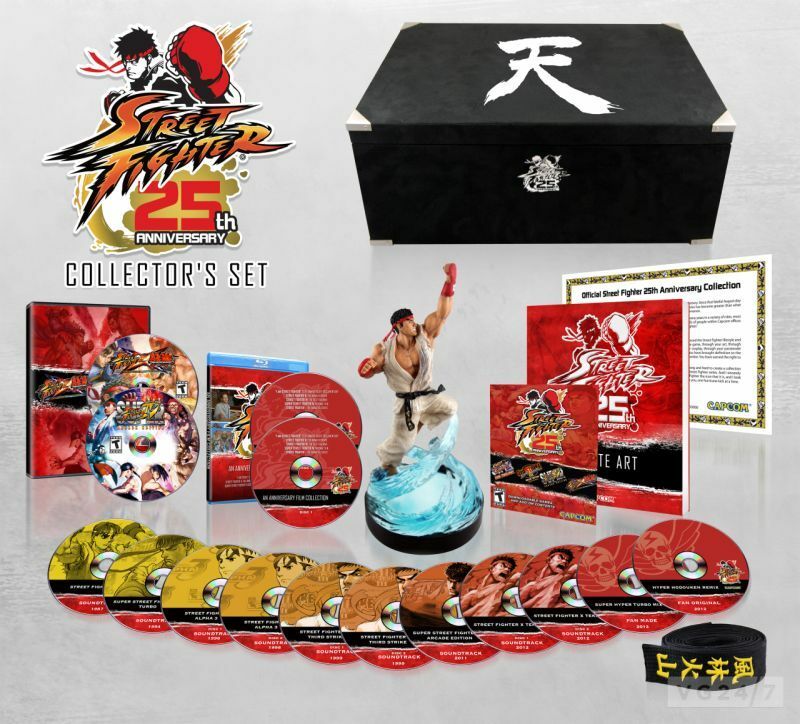 11-Disc Soundtrack – Street Fighter game music spanning the past 25 years, in addition to remixes and fan-created music inspired by past Street Fighter games . he tournament series will feature the following monumental titles from the past and present: Street Fighter X Tekken, Super Street Fighter IV Arcade Edition, Street Fighter III 3rd Strike Online Edition, and Super Street Fighter II Turbo HD Remix. Additionally, the first-place Street Fighter x Tekken player will be crowned champion and be handed the keys to an all-new, custom designed, Scion FR-S Sports Coupe.